Earwigs are most readily recognized by the forceps at the end of the abdomen. Species range from 1/2″ to 1″ in length, and from light reddish-brown to jet black in color. Some species are marked with stripe or band on the body and legs. 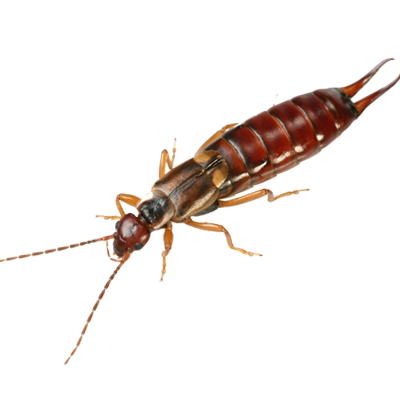 Earwigs are active at night and hide in cracks or underneath objects during the day. Most species scavenge on dead animal and plant material. Eggs are laid in underground burrows.